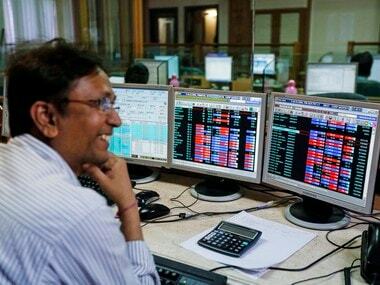 Mumbai: Stocks ended at record highs for the fourth session in a row on Monday on sustained foreign fund inflows and persistent buying by domestic investors in bluechips led by Reliance Industries, ONGC and TCS. The BSE Sensex surged 286.43 points to close at 35,798.01 while the broader NSE Nifty ended at 10,966.20 -- all-time closing high for both the indices. Stocks have been on a record-setting spree following better-than-expected earnings by leading companies and recent cut in the GST rates for certain products and services. 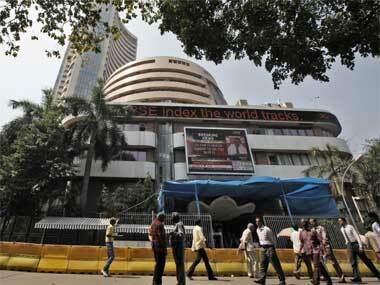 The 30-share Sensex, after opening on a strong footing, continued its upward march to hit an all-time high of 35,827.70. It shed some ground on profit-booking, before finally ending 286.43 points, or 0.81 percent higher at 35,798.01, smashing its previous record close of 35,511.58 reached on Friday. The gauge had gained 740.53 points in the previous three sessions. The NSE Nifty also hit a record intra-day high of 10,975.10, before finishing at 10,966.20, up 71.50 points, or 0.66 percent. 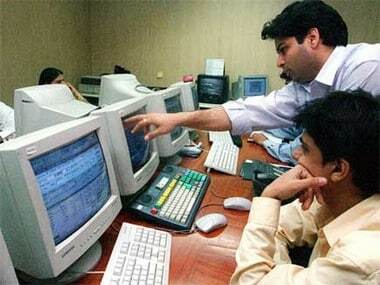 It bettered its previous closing high of 10,894.70 reached in Friday's trade. "Market continued its upward trajectory by supporting the premium valuation with better quarter earnings. Global market was negative but FIIs continued preference for domestic market on expectation of a good budget uplifted the market sentiment," said Vinod Nair, Head of Research, Geojit Financial Services Ltd.
Stock brokers at the BSE. Reuters. Meanwhile, foreign portfolio investors (FPIs) bought shares worth a net Rs 988.25 crore, while domestic institutional investors (DIIs) made purchases worth Rs 209.86 crore in the previous session, as per provisional exchange data. 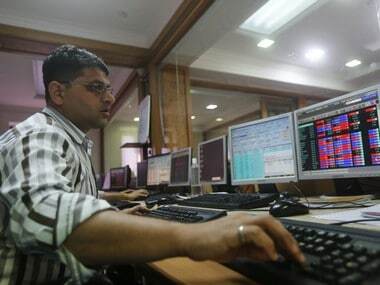 TCS rose the most among Sensex components by surging 5.36 percent to close at new high of Rs 3,113.15, followed by Reliance Industries at 4.50 percent at Rs 971.20. ONGC spurted by 3.28 percent after it got go ahead to acquire the government's entire 51.11 percent stake in HPCL for Rs 36,915 crore. Axis Bank rose 3.52 percent as it posted 25 percent growth in Q3 net profit and a decline in provisions for bad loans. Other prominent gainers Yes Bank, Bajaj Auto, L&T, Kotak Bank, Adani Ports, Tata Motors, Sun Pharma, HDFC Bank, Infosys, Hero MotoCorp and Dr Reddy's, rising by up to 3.52 percent. However, shares of Wipro dropped 2.33 percent after the third largest IT services firm posted 8.4 percent fall in consolidated net profit for the December quarter. Bharti Airtel, Asian Paint, HDFC Ltd, SBI, Hind Unilever and ICICI Bank too ended lower on profit-booking. The BSE IT index rose the most by gaining 2.01 percent, followed by realty 1.95 percent, capital goods 1.79 percent, teck 1.38 percent, consumer durables 0.76 percent, healthcare 0.66 percent, infrastructure 0.56 percent, oil & gas 0.52 percent, bankex 0.47 percent, power 0.28 percent and auto 0.21 percent. The broader markets too remained in bullish mode, with the BSE small-cap index rising 0.78 percent, while the mid-cap index ended up 0.63 percent. In the Asian region, Hong Kong's Hang Seng rose 0.43 percent, Shanghai Composite up 0.39 percent, while Japan's Nikkei edged up 0.03 percent. European markets, however, were down in early deals with Frankfurt's DAX falling 0.05 percent and Paris CAC 40 down 0.11 percent. London's FTSE, however, rose 0.08 percent.